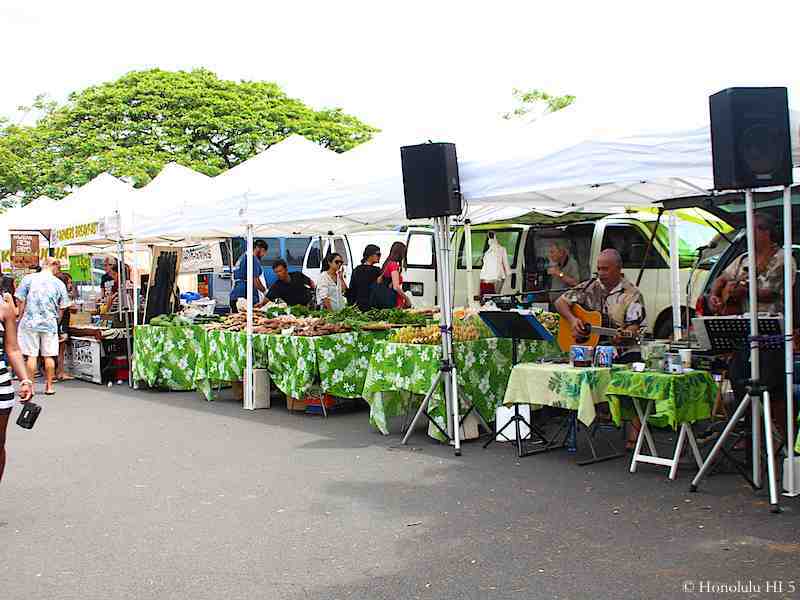 Pearlridge has one of the best markets on Oahu. 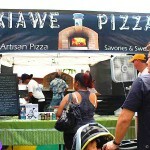 It is consistently adding new sellers, now up to over 40 vendors, without getting too crowded, so locals love it. Being at the mall there’s a lot of parking available, too. 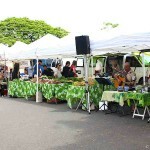 The market is found in front of Sears, near the Zippy’s, inside the lot facing Kamehameha Hwy. Along with a lot of fruit and produce, you can buy organic meats here plus local cheeses, honey, salsas and butter. Always at least a couple of plant and flower vendors as well if you need something to brighten up a room. Have a dog? Organic dog food and treats can be found here, too. 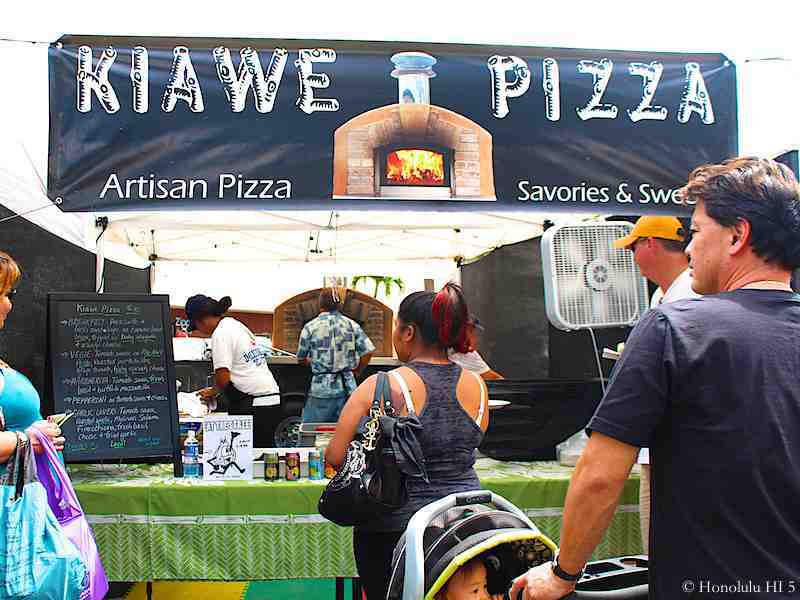 There’s even live Hawaiian music to enjoy as you browse! Being geared more to locals, some of the food offerings, like the Wow Waffles, have built up a following so you might be waiting in line to get a chance to try them yourself. Going early is good advice. That way the parking is quicker, the crowds are smaller and the lines shorter. The number of people never becomes unmanageable, but if you want to really dive in, getting there in the first hour should be your goal. This just might be THE market to check out if you could only do one. If you still have energy, there’s plenty of shopping at the Mall to enjoy afterward.